Visitors are always made welcome at Newquay’s Holywell Bay Golf and with two 18-hole courses, there’s something for all level of golfers. 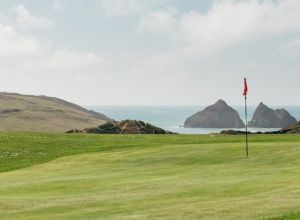 Situated on the North Cornwall coastline, Holywell Bay Golf offers first-class fairways and coastal views overlooking the National Trust protected beach at Holywell Bay. 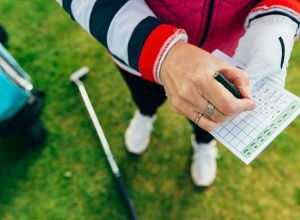 With no dress code, no booking required and club hire included in the price, Newquay’s Holywell Bay Golf offers two truly entertaining and competitive courses for golfers of all standards. Our stunning 18-hole, Par 3 golf course provides a competitive course for golfers of all standards. Small, well-built and contoured greens, challenging approaches and beautiful sea views blend together to create an enjoyable round of golf in Newquay, Cornwall. If you’re looking for a great family day out in Newquay or a round of golf with your mates, then our 18-hole Pitch and Putt Course is made for you! Complete with sensibly distanced fairways, well-kept greens and the famous cliff-hanging 18th hole, there really is no more exciting or better value golf club near Newquay. 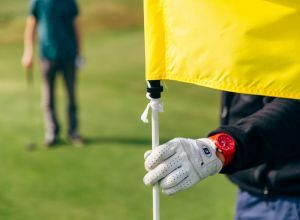 Widely considered, ‘the best 18-hole Pitch and Putt course in the South West’ there’s everything you could wish for when planning a day out in Newquay. Club Hire: Included in the price. No dress code. No handicaps. No booking. No problem!